2018 was the most successful year in terms of sales for the company. Many supercar and exotic car manufacturers are reporting recording sales for 2018. 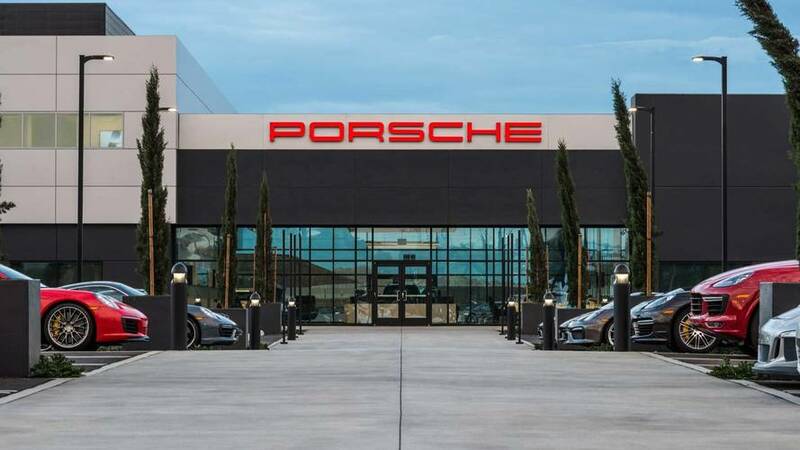 McLaren and Rolls-Royce are among these automakers, and now even Porsche is happy to announce it delivered 256,255 vehicles worldwide through the last 12 months, more than ever before in a year in the history of the company. The sales growth was driven mainly by the success of Porsche’s SUV models. For yet another year the most sold Porsche globally was the Macan with 86,031 vehicles followed closely by the Cayenne with 71,458 deliveries. Next is the Panamera which recorded the strongest growth year-over-year of 38 percent with 38,443 sales. Last but not least, the 911 also recorded double-digit rise - 35,573 sales or 10 percent more than 2017. With 80,108 Porsche sales and a 12-percent increase last year, China remains the most important single market for the automaker, followed by the U.S. with a three-percent increase to 57,202 vehicles. Europe was the most suffering market for the brand in 2018 with a decrease of four percent (77,216 sales) due to the new WLTP test cycle which forced manufacturers to begin installing gasoline particulate filters. In addition, Porsche stopped offering diesel cars in February last year. Stuttgart, Germany. A strong year for the Stuttgart-based sports car manufacturer: Porsche AG delivered 256,255 vehicles worldwide in 2018 – more than ever before. This represents a growth of four per cent compared to the existing record figures of the preceding year. Of the model series, the Panamera recorded the strongest percentage growth with a 38 per cent increase to 38,443 deliveries. The 911 also recorded a double-digit rise: despite the release of a new generation of 911, the number of sports cars delivered increased by ten per cent to 35,573 vehicles. “The 911 capacity to fascinate is stronger than ever,” comments Detlev von Platen, Member of the Executive Board responsible for Sales and Marketing at Porsche AG. “We just celebrated the world premiere of the new 911 at the end of the year at the Los Angeles Autoshow, and yet our sports car icon once again inspired more customers in 2018 than in the previous year.” The Macan was still the most successful model by volume with 86,031 vehicles, just ahead of the Cayenne with 71,458 deliveries. The Chinese market held on to pole position for deliveries again in 2018. Growth in this market hit twelve per cent amounting to 80,108 units in total. In second place was the USA, with an increase of three per cent to 57,202 vehicles. Deliveries in Europe came in slightly below the previous year’s figures. “The switch to the new WLTP test cycle and gasoline particle filters in Europe mean that we faced significant challenges in the fourth quarter of 2018, and these will continue to be felt in the first half of 2019. On top of that, we stopped offering models with diesel engines in February 2018,” Detlev von Platen added.